Opening performance with Marlon Red & Cristiana Cott Negoescu on February 16th, 18:30. Exhibition opening hours February 17th and 18th from 12:00 to 18:00. 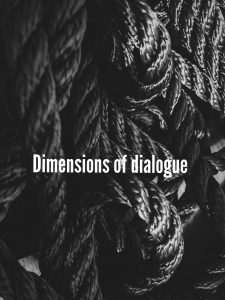 Dimensions of Dialogue focuses on a dialogue between object and subject, time and personal identification. The exhibition is dedicated to photography, video, and performance, the challenge of interpersonal communication, turning photography into a resonator and speaker. For more, please see the Facebook event.